Adorno Bociani was born in Ponte a Ema, Italy in 1920. 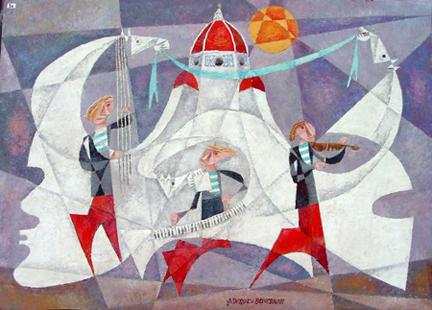 He was a self taught artist who showed talent at an early age, having some of his illustrations published while still in elementary school. Though studying to be a land surveyor, he began painting after graduating in 1946. 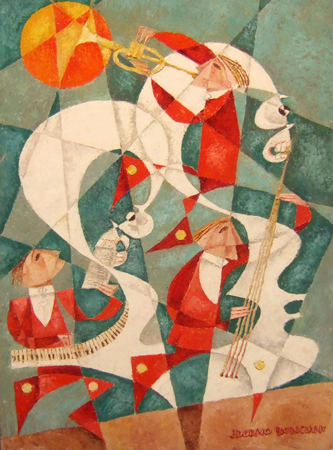 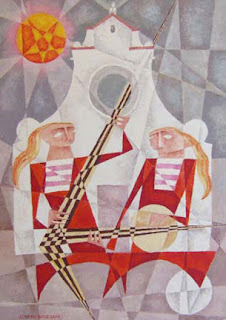 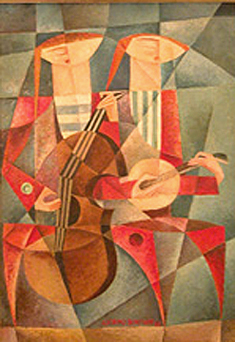 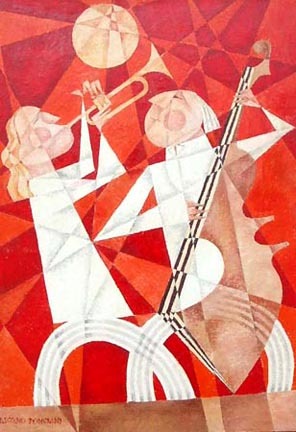 Adorno's paintings were influenced by Futurism and Cubism and depicted images of musicians, children and families. His art has been exhibited throughout Europe and the U.S. 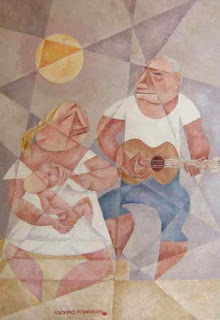 He continued to paint until 2008 from his home in Florence, where he still lives today. 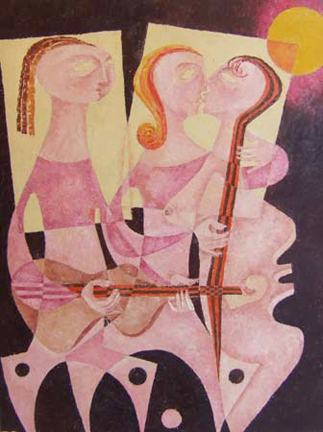 The above pieces from Firenze Art Gallery are for sale, you can see them and more of Bociani's work here.